Sick of waking up with a stiff neck, feeling more tired than when you went to bed? Time to switch out your pillow with our number one winner: the Coop Home Goods Original Pillow. This pillow combines the softness of a down pillow with the stability of a foam one. If you’re just here for the single best pillow for side sleepers, the Coop Original is exactly what you came for. Side sleeping has both advantages and disadvantages. This position means less snoring (your partner thanks you), but with the downside of more weight ending up on your shoulders and hips. But the thing you really have to look out for is your neck. The wrong pillow can mean a stiff neck in the morning, either from the pillow being too soft or too hard. Some sleepers out there even experience numbness in their shoulders or neck upon waking up. This is a sure sign you’re in need of a new pillow. Your body will thank you! So how do you go about finding the perfect pillow for side sleepers? We’ve got you covered. Want to have enough energy to spring out of bed in the morning? Start with one of these pillows. This pillow is firm yet plush, and it refuses to lose its structure as the years go on. Its fans call it life-changing, and we’re not going to argue. 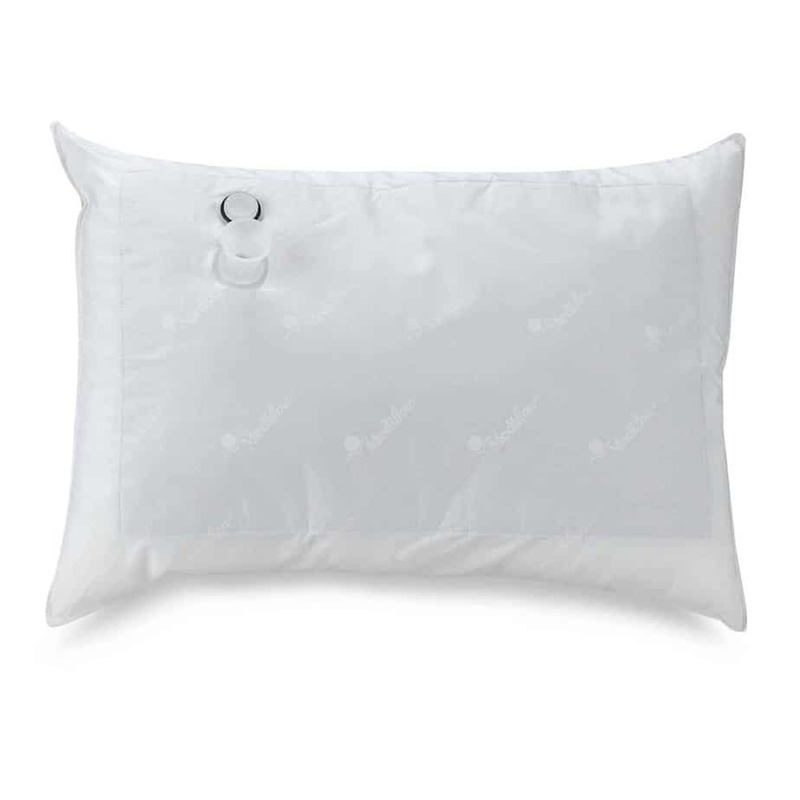 This 100% cotton side sleeper pillow will give you the stability and comfort you need for the perfect night’s sleep — and it manages to do all that without busting your budget. The Snuggle-Pedic boasts a unique fill composed of bamboo and eco-friendly foam. If you’re looking for a pillow high in comfort and low in environmental impact, look no further. Make a note of what position you fall asleep in. Then when you wake up, make a note of that position. Do this 2-3 nights in a row. If you are going to sleep and waking up in the same position, that is your sleep position. If you go to sleep and wake up in different positions, find the position you most often go to sleep or wake up in. You can also ask your partner to help. Not too complicated, right? Now that you know that you are, in fact, a side sleeper, you might be wondering: What makes a side sleeper pillow a side sleeper pillow? Support quality is the name of the game in side sleeper pillows. Side sleeping posture is going to require a pillow that offers firm support for the head and neck. That means a pillow that doesn’t give quite as much when you put your head down on it. The key for side sleeper pillows is offering that head and neck support at just the right height to keep the spine aligned. Because of this, you will see most side sleeper pillows using foam, cotton, and synthetic fills rather than down. Many companies that make side sleeper pillows offer a way to manually adjust the height of the pillow. Another key feature to look for is the environmental friendliness of a pillow. Many pillows are made with damaging chemicals and synthetic materials that are harmful to the environment. To counter this, some companies are choosing to work with purely organic materials, such as wool, cotton, bamboo, and silk. These materials are often advertised as being hypoallergenic for those who are sensitive to certain substances, like latex. This thorough analysis allows us to confidently present a list of the 10 best pillows for side sleepers. 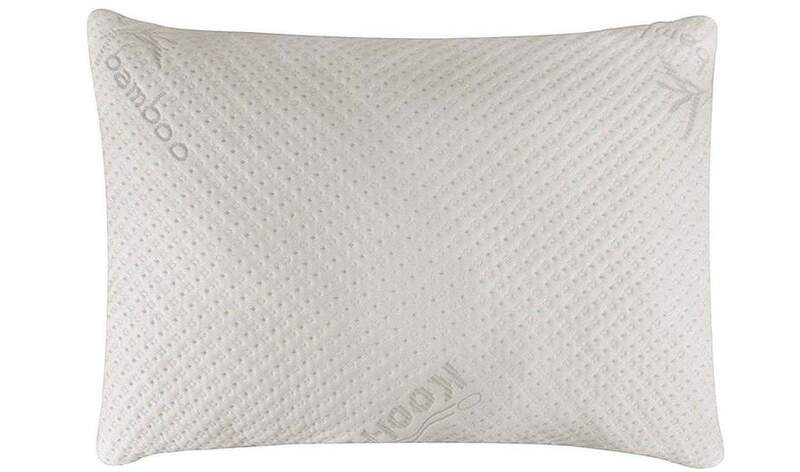 The Coop Home Goods Original Pillow is the highest-rated side sleeper pillow out there. 11,000 people gave it a 5-star review on Amazon, and that speaks for itself. This pillow is machine washable, and it’s adjustable in height to fit your needs. It’s hypoallergenic and CertiPUR-certified, meaning the pillow is made without ozone depleters, heavy metals, formaldehyde, or environmentally damaging flame retardants, and it has low emissions for indoor air quality. It’s backed by the Coop Home Goods guarantee, which states you can return it for free within 100 days of purchase, no questions asked. What makes this pillow the top choice for us, and for thousands of its loyal fans, is its comfort, its utility, and its durability over time. The Ultra-Luxury Bamboo Pillow by Snuggle-Pedic comes in at second place, but it’s our number one choice for those looking for an environmentally friendly pillow. It’s 43% bamboo and CertiPUR-certified, meaning the pillow was made free of ozone depleters, heavy metals, formaldehyde, and environmentally damaging flame retardants. It has low emissions for indoor air quality and is machine washable — all of which go towards making it hypoallergenic as well. The Snuggle-Pedic Bamboo comes with an easily accessible zipper to allow you to add or remove its memory foam filling, giving you the ability to adjust it to your needs. Plus, it’s one of the most resilient pillows we’ve found in terms of keeping its fluff over the long run. 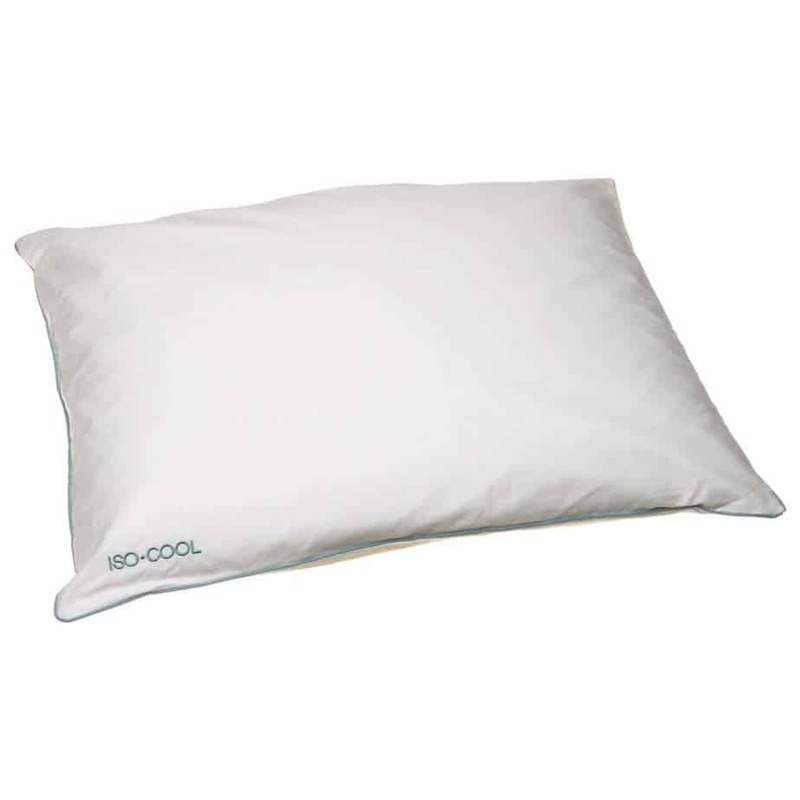 Its combination of bamboo, polyester, and a small amount of Lycra gives the pillow the effect of always remaining cool. This contrasts well with some down pillows, which, although soft, don’t regulate temperature well and lose their shape overnight. In addition, it boasts a 120-night no-hassle sleep trial. If you don’t like the pillow, you can return it – no questions asked. The Sleep Better Iso-Cool Memory Foam Pillow comes in at number 3 on our list overall, but it clinches the title for the most affordable pillow for side sleepers. The previous 2 pillows on our list, while boasting comfort and environmental friendless, came in at $60 a piece — which might be a little steep for some of us. The good news is, you can get all the same comfort at a much lower price. 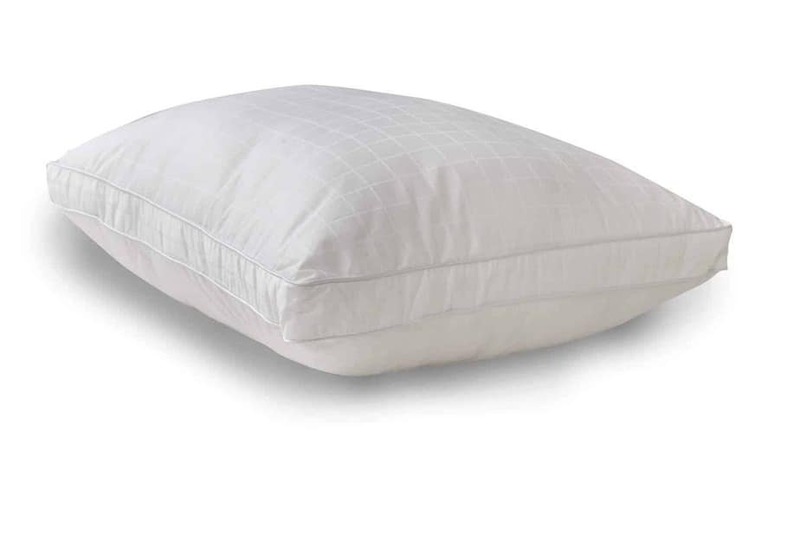 This side sleeper pillow is 100% cotton with an a visco-elastic memory foam filling. 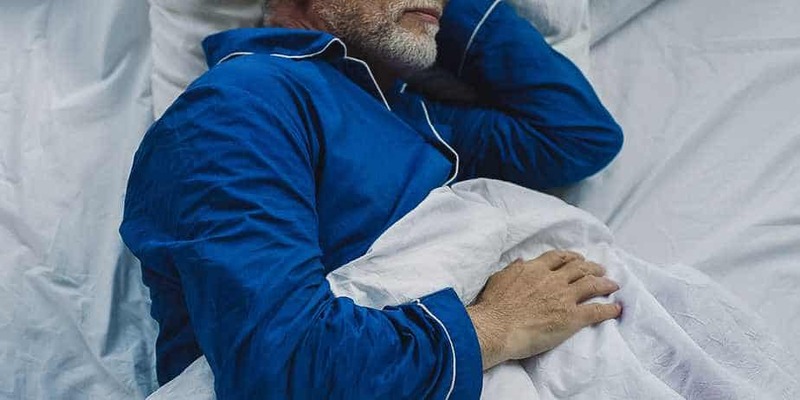 Just like the Snuggle-Pedic, the Sleep Better Iso-Cool Memory Foam Pillow is temperature-regulating, cooling down or warming up depending on the heat your body puts off during the night. Because it’s not hypoallergenic and isn’t as eco-friendly as other pillows, the Sleep Better Iso-Cool doesn’t land in the first couple slots on our ranking. But for a balance of support, cooling technology, and value, there’s no better option. The Mediflow Original Waterbase Pillow has a pretty unique claim to fame: It’s the original water-based pillow, and it’s been helping side sleepers for over 20 years. When you use it, your head rests on a soft layer of padding, including fiber and cotton, which has at its base a pouch filled with water. Just like shredded memory foam pillows can be adjusted by adding or removing foam, the Mediflow Waterbase can be adjusted by adding or removing water from the waterbase. That way, you’ll be able to find the right amount of support for your perfect night’s sleep. For many people, there simply is no other pillow out there. Its adjustability combined with its unique water effect makes it ideal for side sleepers — although if you’re squeamish about the (admittedly remote) possibility of mold, this might not be for you. The Xtreme Comforts Loft Bamboo Memory Foam Pillow is another great addition to the memory foam side sleeper pillow category. It offers everything you could need in a side sleeper pillow: adjustability, comfort, and breathability. It’s also machine washable, hypoallergenic, and temperature-regulating. 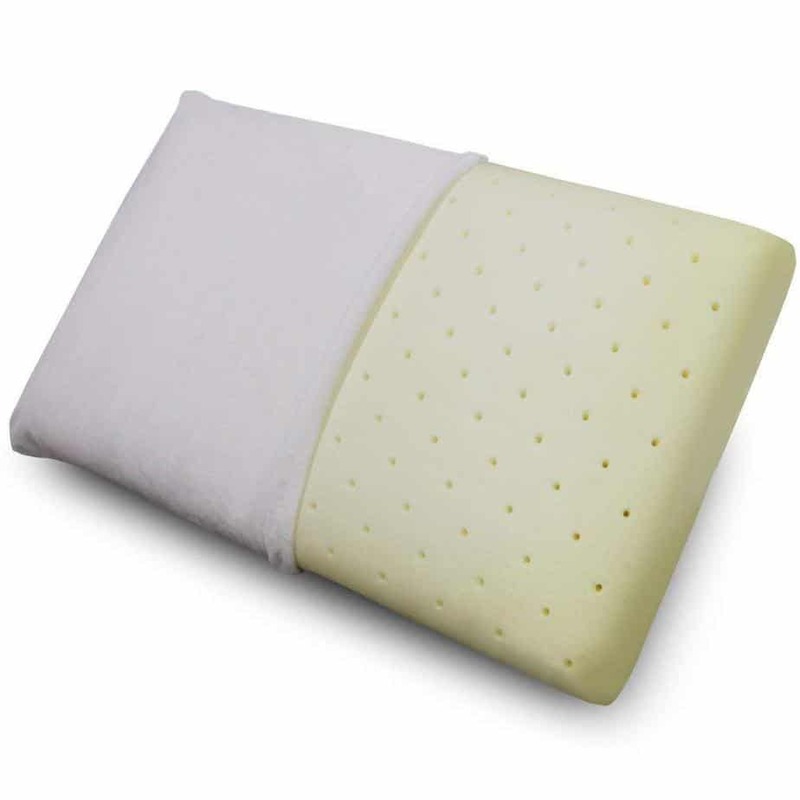 In addition, those looking for an environmentally friendly pillow will be satisfied – the Xtreme Comforts Loft Bamboo Memory Foam Pillow is made using bamboo, and it’s CertiPUR-certified and dust mite resistant. 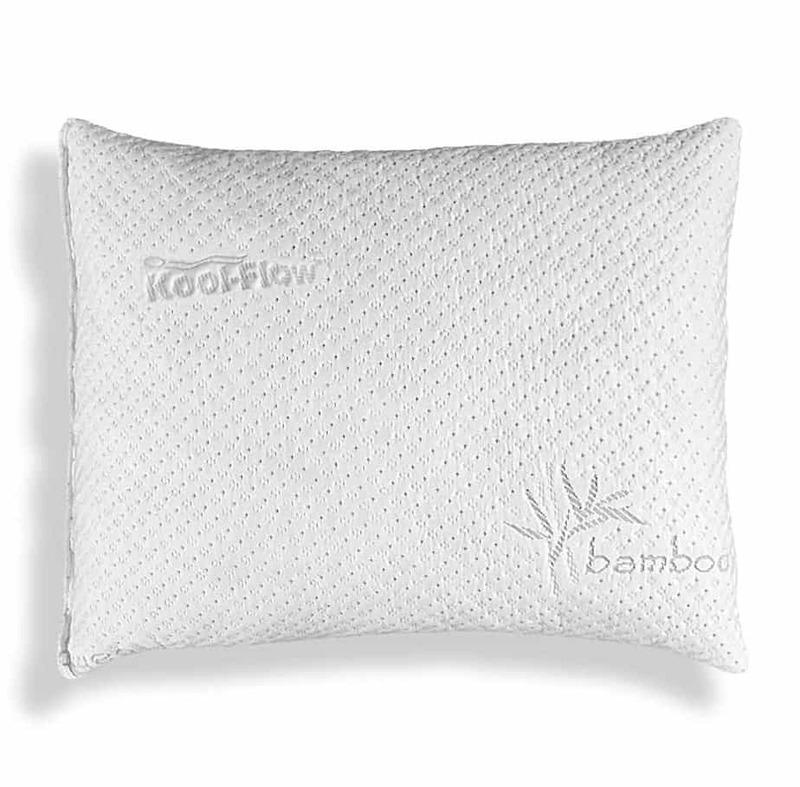 On top of it all, the Xtreme Comforts Loft Bamboo Memory Foam Pillow has a 30-day, no-questions-asked return policy. While there’s plenty to love about this pillow, it falls to fifth place because of some issues with needing to be re-fluffed on a regular basis. We also have to note that its density may not be suited to all side sleepers. The Classic Brands Conforma Memory Foam Pillow is a great value: It offers classic, top-quality memory foam at a mid-range price. The memory foam is 100% polyester and provides ideal ergonomic support for side sleepers. Other features we love about this pillow? The ventilated memory foam regulates temperature and is naturally resistant to allergens, mold, and bacteria. The removable cover is machine-washable, too. It comes in multiple sizes and sits at 5 inches in height. This might be a bit high for some, and a number of side sleepers have found the material a little stiff — which is why this pillow comes in at number 6. The Down Alternative Pillow by Five Star is a breathable, hypoallergenic pillow made of 100% pure cotton. As the name suggests, it offers a down-like fiber filling that’s just as good — or if you ask many people, even better — than the real thing. This pillow is completely machine washable, which is a huge plus in our book. It also comes in as one of our least expensive options – just $30. It’s hard to argue with that. This pillow does a good job of keeping its shape, but since it is intended to mimic down, some side sleepers will find that it’s just not supportive enough for their needs. By the same token, if you’re someone who likes their pillows definitively on the squishy side, this is a great choice. The Z by Malouf is made with 100% Talalay Latex. The Talalay Latex, manufactured from rubber trees, is created in an eco-friendly process. This is a truly innovative pillow that gives a one-of-a-kind experience for side sleepers. The unique material gives the pillow a firmer-than-most density that won’t lose shape during the night. Although it’s definitely supportive, this pillow is soft enough to conform to your body movements throughout the night. 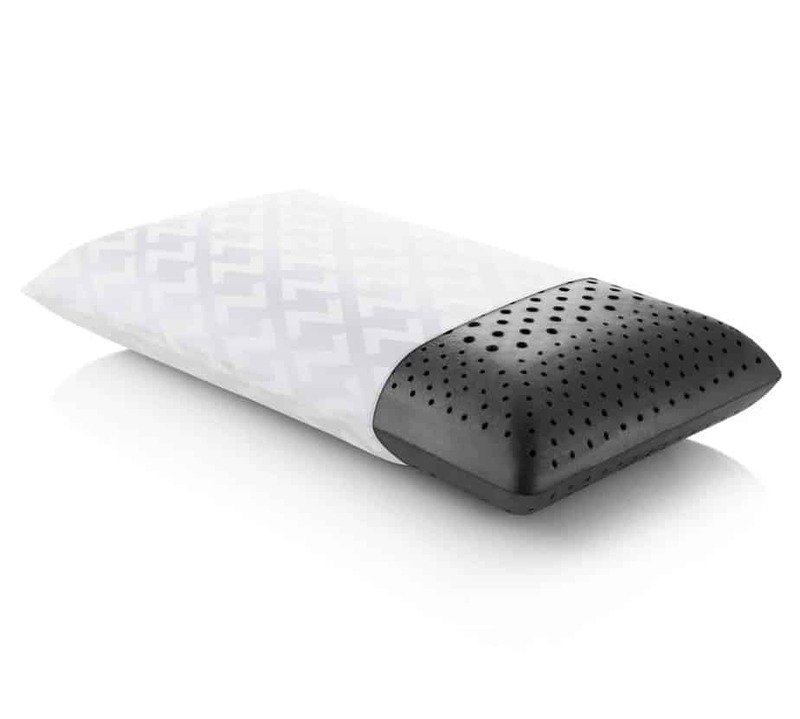 The pillow also comes with a removable Tencel cover known for its moisture-management properties. It’s temperature-regulating and retains its original shape, never needing to be fluffed throughout the night. All that said, we did take a few points off because it’s not machine washable, and it’s not adjustable, either. 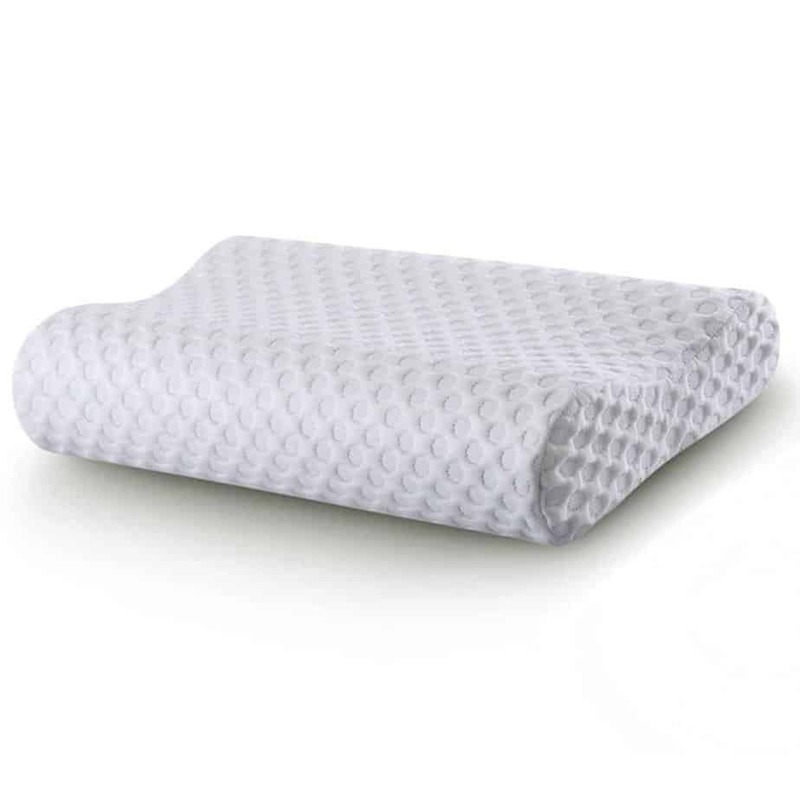 The Beautyrest Latex Foam Pillow is a pretty straightforward foam pillow: It’s crafted using natural latex foam and comes with a 100% cotton removable cover. The design ticks the boxes for a great side sleeper pillow, designed to cradle your head and neck all night long. The foam has antimicrobial properties, inhibiting odor and pathogen development. This pillow is breathable, yet keeps its shape throughout the night. The cover is machine washable. This pillow does leave a few things to be desired. It’s not adjustable, for one, and it doesn’t rank well for environmental friendliness. But, if you’re looking for something tried and true, this is a solid choice. The CR Sleep Memory Foam Contour Pillow offers you a textured memory foam pillow with a contoured wave design. This pillow is of medium firmness and comes in multiple sizes. The outer cover is a 65% polyester and 35% Tencel, with an inner cover of jersey fabric for breathability. Like several others on our list, this pillow is CertiPUR-certified, meaning that it’s made without ozone depleters, heavy metals, formaldehyde, or environmentally damaging flame retardants, and it has low emissions for indoor air quality. The foam also has a gel layer that helps regulate temperature. All of that is great — but the pillow isn’t adjustable, and it’s not hypoallergenic either. While many folks love the contoured shape, the firmness of this pillow might be a bit much for some. It is a great value, though, so it’s definitely worth a shot. The wrong pillow can mean waking up with a stiff neck, shoulders, or hips. This is because, as a side sleeper, your sleep posture means more of your body weight is getting displaced onto those parts of your body. The right pillow is going to align your body, starting with your neck, in a way that relieves that extra pressure. The net result is that you feel rested and refreshed in the morning. The key to this alignment lies in getting the right height for your head. Differently sized bodies means differently sized shoulders, and because of this, the height of your pillow has to correspond to your shoulder size. You can take a gamble on a pillow of a certain size, sure. But many of the best pillows for side sleepers are ones that are adjustable. These often come with some form of extra stuffing to adjust the pillow height to fit your build. What type of pillow should side sleepers use? There are a few kinds of side sleeper pillows out there. The first is a more firm, single-piece memory foam pillow contoured in the correct shape to align your body. Some of these come in multiple heights to suit a variety of builds. Another kind of pillow for side sleepers is a softer, more malleable pillow in the usual rectangular shape. These are frequently filled with shredded memory foam or other materials such as cotton. Many of these models are adjustable, allowing you to find the right height, or loft — which is what makes or breaks a good night for side sleepers. At the end of the day, finding the absolute best pillow for you is a matter of trial and error. We’re more than happy to point you in the right direction, though. Our list of the 10 best pillows for side sleepers is a perfect jumping-off point for your search. What many people don’t know is that a lot of bad stuff can build up in your pillow over time, including bacteria and mold. That’s why even the highest-quality pillow needs to be washed between 2 and 4 times a year. Some pillows are machine washable; some are not. Whether or not your pillow can be machine washed is usually indicated in the manufacturer’s guide to the pillow. 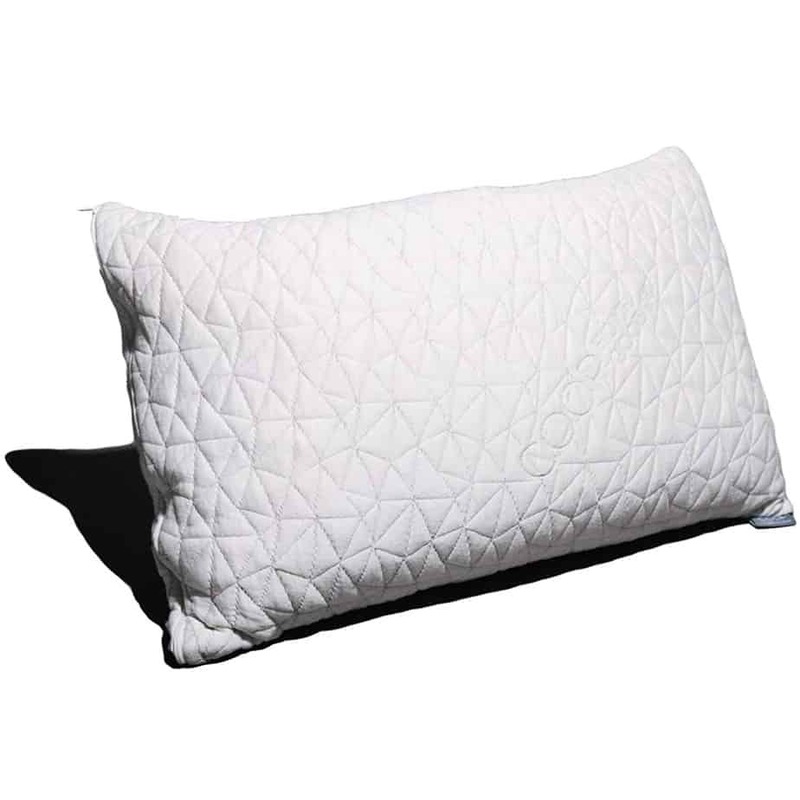 For instance, our top pick for side sleepers, the Coop Home Goods Original Pillow, is fully machine washable. Many other pillows on our list are machine washable, or at least they have a removable cover that is. As a general rule, you’ll never put a single-piece memory foam pillow in the washer. A washing machine can do damage to the foam and a dryer with enough heat can melt it. To clean this type of pillow, spray it with a mild detergent, and then scrub it with a moist cloth. After you’re done, let the pillow air dry. 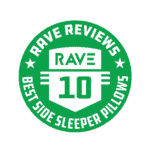 Through our extensive process for determining the best pillows for side sleepers, we’ve gathered the data to give you all you could want in a side sleeper pillow. Our top choice is the Coop Home Goods Original Pillow. It’s environmentally friendly, comfortable, adjustable, hypoallergenic, and machine washable. If you want the best bang for your buck, you should try out the Sleep Better Iso-Cool Memory Foam Pillow. If you are worried about environmental impact, the most sustainable pillow on our list would be the Snuggle-Pedic Bamboo Pillow. We cover these 3 pillows, and 7 other excellent choices, in our full list up above. Shredded Memory Foam Fill: A key feature of many of the pillows we reviewed is adjustability. Here’s some extra shredded memory foam to get the perfect height. 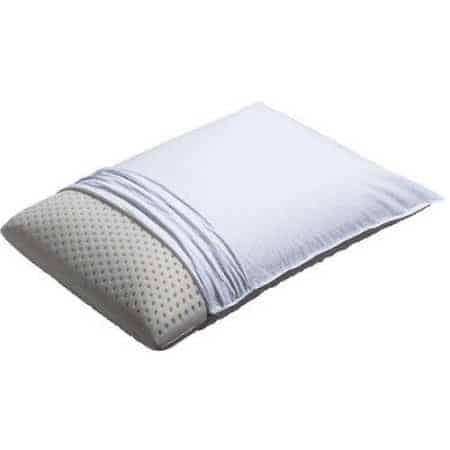 100% Cotton Pillow Cases: The pillowcase is the part of the pillow that gets dirtiest most often. With these 100% cotton, 300-thread-count pillow cases, you’ll have an amazing night’s sleep while your other case is in the wash.
Memory Foam Topper: For those of you out there with a memory foam addiction, here’s your perfect 3-inch memory foam topper. Silk Sleep Mask: Whether you’re traveling or just have that pesky bit of light that gets through the window in the morning, this sleep mask provides the best of both comfort and coverage.